One word to describe the trailer for Kola Amusan’s cinema-bound movie African Queen: BORING. Opening with a beauty pageant wherein contestants in dresses stand on a platform, and the host alluding their collective beauty to the African queen archetype, everything from there devolves into tepidness. Zainab, one of the contestants, is kidnapped. And this occurs after she disobeys her father and enters into the competition. Her father is the minister of petroleum, and quite annoyingly, African Queen is about the fictional authorities pooling their resources in trying to rescue Zainab from the clutches of the kidnappers. Because the trailer doesn’t provide an interesting, compelling snapshot of the movie, moreso because the movie itself doesn’t constitute of anything refreshingly original to sell, we have one rather pressing question: why should African Queen be shown in cinemas?????? Frankly, the movie is an ideal product to be converted into DVD, and bootlegged into the ever-flourishing corners of Alaba. If you are lucky, you would find them sold to you in traffic. And this is us doing Kola Amusan a favour. Can’t imagine sophisticated adults paying a movie ticket to watch this in a theater. In the trailer, we see Bolanle Ninalowo as one of the kidnappers, bulky and vaguely threatening. 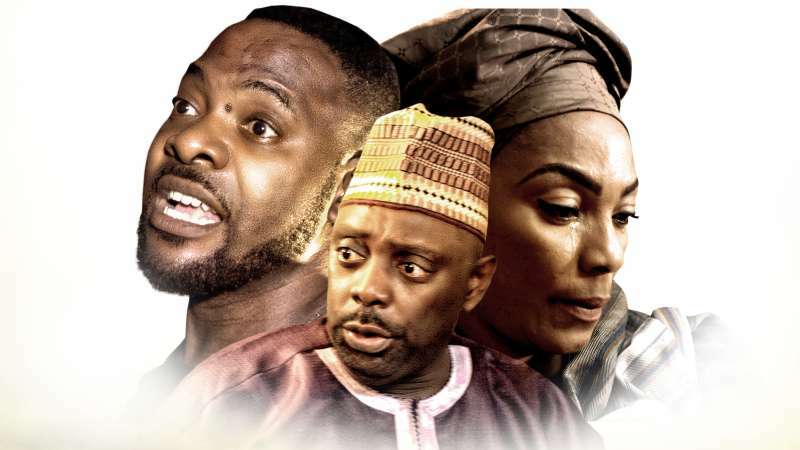 Tina Mba and Segun Arinze appear in this garden-variety silliness of a movie, and they will not be able to save African Queen from the mess it will be when it hits theaters on September 7.